Convert DFF audio files to DSF. Is there a better alternative to dff2dsf? Is dff2dsf really the best app in Audio category? Will dff2dsf work good on macOS 10.13.4? 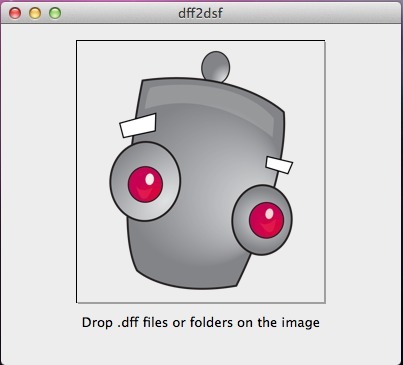 dff2dsf is an application used to convert .dff audio files, which cannot be tagged, to .dsf files which can be tagged. Note that there is no loss of quality in the conversion process: the conversion is a repackaging not a re-encoding. On OS versions where Notification Center is available, it will be used as opposed to Growl. Logging has been added to the preferences. When logging, a run will continue even if errors have occurred. You will be not prompted during the course of the run. dff2dsf needs a rating. Be the first to rate this app and get the discussion started!